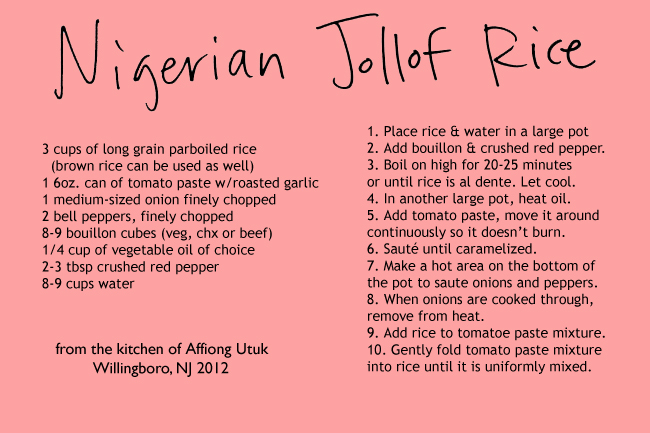 This entry was posted in Cooking by Heart and tagged jollof, jolloff, joloff, nigeria, nigerian, rice, spicy. Bookmark the permalink. ← Cooking by Heart on the big screen!